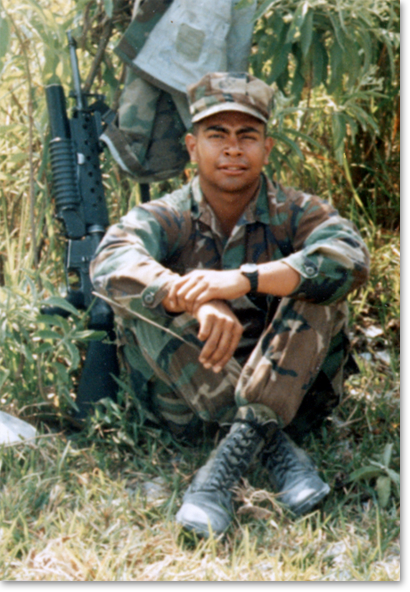 Jorge Aguayo is a combat-decorated Marine who served with the Third Marine Division as an infantryman. 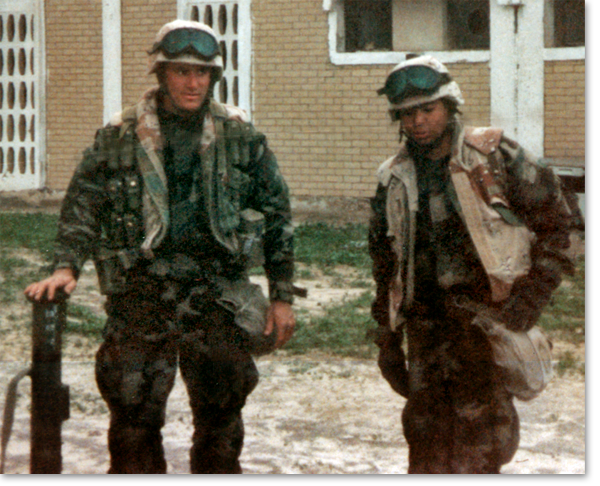 He participated in Desert Storm, Desert Shield from 1990-1991 assisting with the liberation of Kuwait. 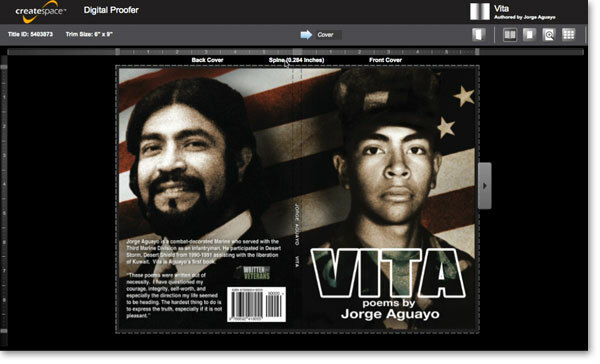 Jorge Aguayo has been involved with Written by Veterans from the start and recently published two books: VITA, a collection of poetry and a screenplay entitled MY WORST ENEMY. Written by Veterans: You are a Marine Veteran, study biology, but now you have published two books, VITA and MY WORST ENEMY. Did you ever think you would also be an author? 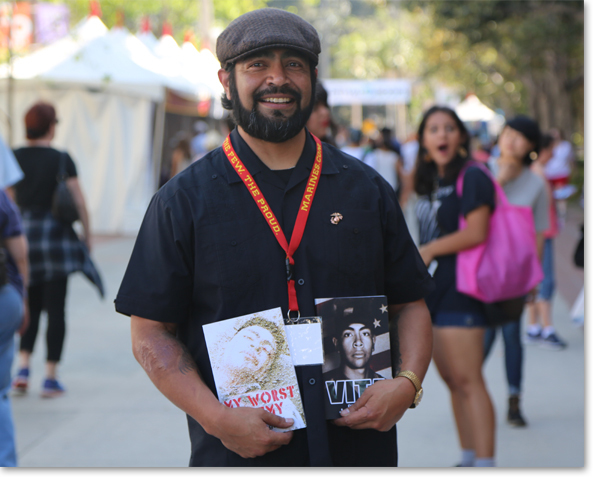 Jorge Aguayo: I never thought I would be a published author, having an actual copy of something I wrote in my hands is unbelievable. 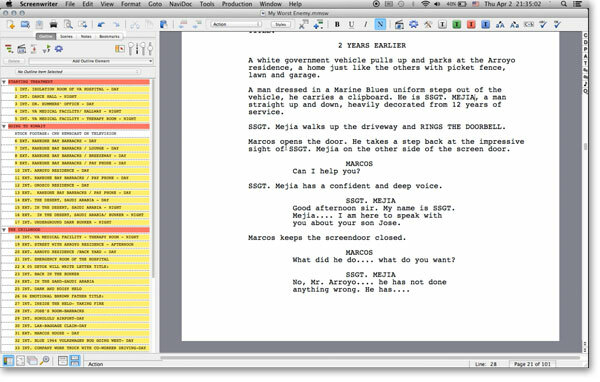 The idea to write a screenplay was something unexpected. WBV: When you told your family, what was their reaction? JA: My mother was very excited; she thinks I have a good story to tell. She is very supportive of the things I am currently involved in. WBV: Where they surprised when you told them that your books are actually published? JA: They didn't believe it; they were shocked to hear that my books were on Amazon. WBV: You took the screenwriting course. What did you expect and what did you plan to write about? 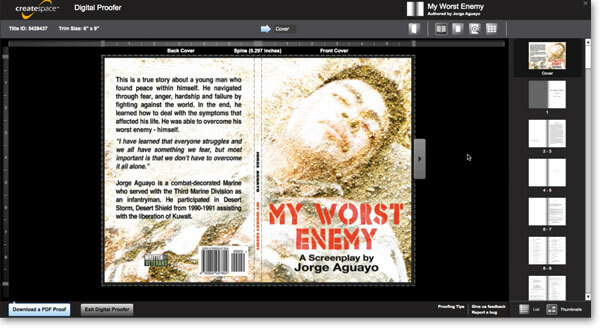 Createspace's Digital Proofing Tool of "My Worst Enemy"
JA: Initially I wanted to write about my grandfather. 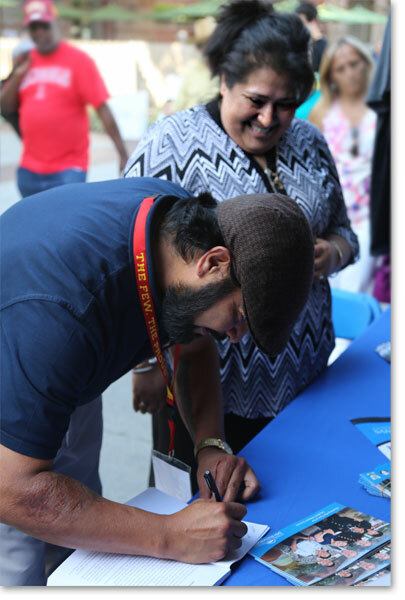 I was interested in learning how to write so that I can share my grandfather's story with people. He was a very special man, who influenced everyone he came in contact with. I felt that I should honor him by expressing who he was. WBV: But then you wrote about a different story. JA: I started gathering information for my grandfather's story and when I began to write, my story started to evolve. I noticed that everything I was writing was more about how his life affected me, I felt like I had a lot to say about my own life. 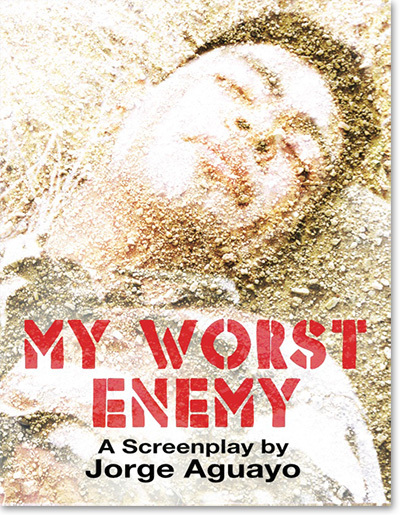 WBV: Tell us about MY WORST ENEMY? JA: It's a story about fear, insecurity, anger and how a young man is driven to fight the world. He is filled with rage and doesn't know how to deal with it. He is completely lost until he hits rock bottom. WBV: In the writing course we talk about unlocking that creative flow, of getting into that productive "zone." JA: This flow is very intoxicating. You can't force it… I found that waking up early in the morning, when it's the quietest, and writing was very therapeutic.Once a thought enters my mind I just go with it without any inhibitions or fears. One thought turns into 3 hours worth of writing… the most productive part of the day. WBV: We've talked about how the creative flow is like falling asleep. One cannot force oneself to fall asleep. One has to stop trying to fall asleep and relax. JA: I think it has to be natural. The less you think about it the better, we try to control everything and sometimes overthinking gets you nowhere. I also think your state of mind has a lot to do with sustaining that flow. Learning how to relax is imperative, if you don't know how you'll have a hard time finding that zone. The more I write the more I relax and the better I write. WBV: Tell us about pen and note pad you always have with you. JA: I always carry a notepad with me, just in case I hear or see something inspiring. I recently wrote a poem in my chemistry class waiting for the professor; it only took me a couple of minutes. I've been doing this about six years now. WBV: VITA is a book of poetry. How did it come about? JA: I was going through a divorce and I was very sad, angry and disappointed. I didn't have anyone to talk to so I started writing my thoughts down. The words I wrote started falling in rhyming sequences. I noticed the words came without any effort… I was just expressing my thoughts. WBV: Suzy, one of our writers group members, read your poem aloud to you. What was the experience like? JA: I asked her to read it out loud because I wanted to hear it coming from someone else's mouth and I wanted to see the reaction on her face. It was amazing. While she read it, I had closed my eyes. I heard the emotion in her voice. When I opened my eyes, I saw her reaction… it was amazing. WBV: Being an author now, how has that changed your view on life? JA: Many things have changed in my life including having an open mind. Being a college student has unlocked many doors that I never thought existed. I'm constantly learning about others, and myself, which is probably the greatest thing I can do. I feel privileged to be able to help others also. I have a nephew that makes me feel so good when he tells me how grateful he is to me for inspiring him to play guitar. It's awesome. WBV: What do you plan to write next? JA:My next project is to write a series of books based on my grandfather's life. The adventure will start at his birth in 1910 until his death in 2004. 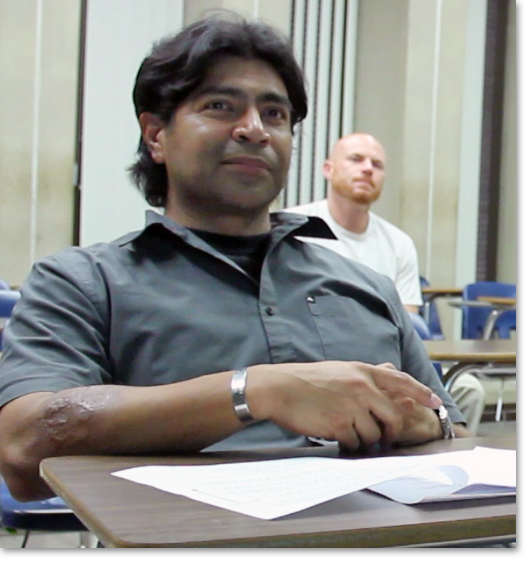 It will be a historical type of story covering his personal experiences along with Mexican and American lifestyles. 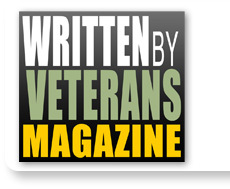 WBV: What advice would you give a Veteran who plays with the idea of becoming a writer? JA: The course provided me with a tool to make writing easy and fun. If you're contemplating on sharing your story, try it. You have nothing to lose. You will gain knowledge from an experienced instructor and you will be writing at the same level as famous published authors.